The cottage is located half a block from beautiful Kailua Beach on a nice quiet street in one of Kailua`s finest neighbourhoods. 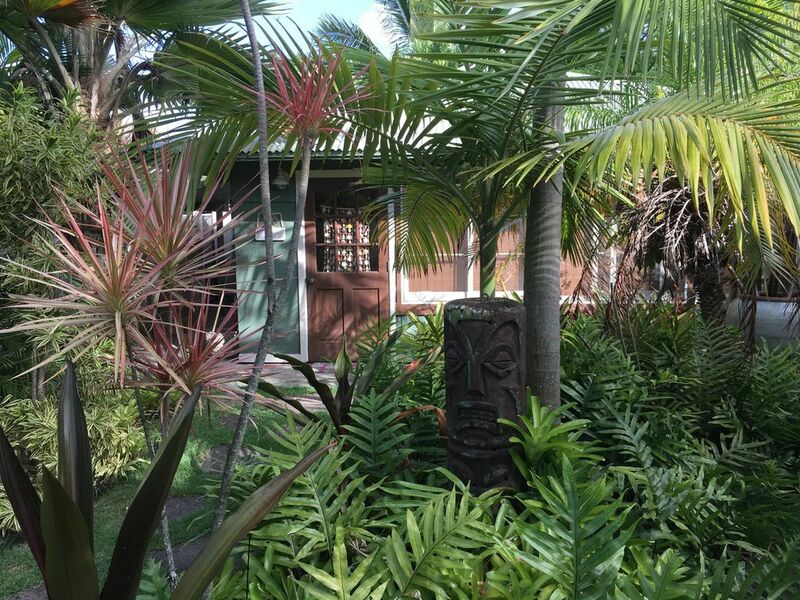 Tropical landscaping surrounds the island-style cottage to give a peaceful private setting. Enjoy a BBQ in your private garden setting under tiki torch light.Perfect for temporary housing or military looking for transitional accommodation . Just renovated, the large separate bedroom boasts a king-size bed and a separate closet. The cottage is 600 sq feet and designed with an island flair and has all the comforts of home. It is a detached, self-contained cottage with separate gated entrance. Just a short walk to the town shops and great restaurants, the location is excellent. we also have a pontoon and weather permitting , do sunset cruises and day cruises in Kaneohe bay and sand bar. We recently stayed in this perfect Hawaiian Style Cottage by the Sea. The size of the rooms was generous, with light streaming in the windows and views of Todd's garden. The kitchen was small but well appointed. There was an abundance of fresh towels and even a small walk in closet. The decor was thoughtful and made it feel like a home rather than an impersonal hotel room. The beach was a short walk away and the proximity to the town was ideal. Todd was a generous and accommodating host. We highly recommend staying here!